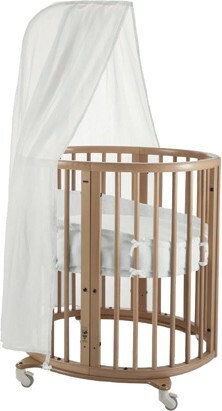 Mini crib is the perfect first bed for your baby. Its distinctive oval shape provides your baby with a sense of security by creating a cozy, nest-like environment. With adjustable mattress height, as well as the ability to grow with your child. Their first bed turns into their second & third, & fourth!